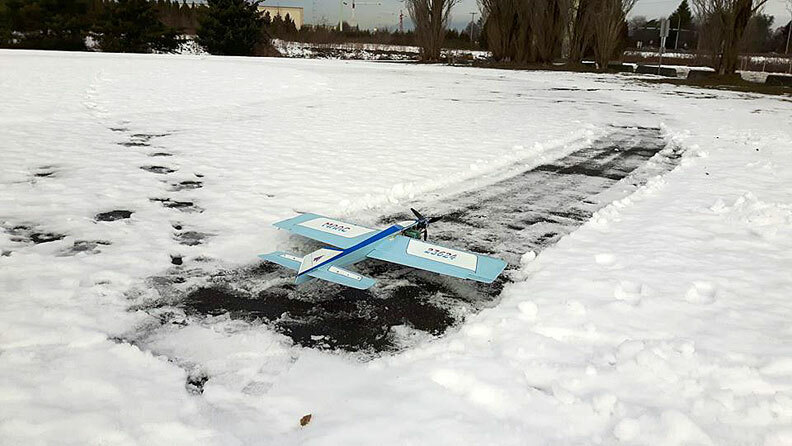 The Vancouver Gas Model Club, based in Vancouver, B.C., flies at the Rice Mill Road Model Airpark in Richmond, B.C. Photo of the field at right is from the Jan. 1, 2008, Polar Bear Fun Fly. The club meets at noon on the second Saturday of each month at Boston Pizza, 2000-1162 Steveston Highway in Richmond. Intrepid control-line fliers braved the weather for some flying on Feb. 11, 2017, at the Rice Mill Road field in Richmond, B.C., as seen above. Joe Yau photo. VGMC introduces Multi-Engine Profile Scale event! Along with the annual Nearly 1/2-A Fun Stunt event in 2015, the Vancouver Gas Model Club will present a competition that is the VGMC's version of an even that started in Arizona a few years ago and has expanded to the annual Brodak Fly-In. The VGMC has smiplified the rules a little bit for the first year, with the possibility of adding a more complex version in a year or two. 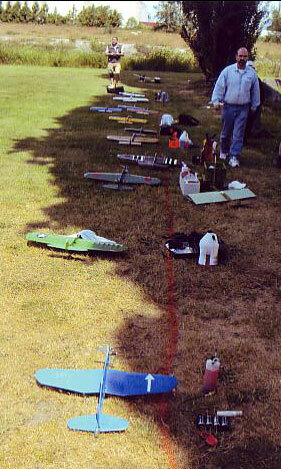 The basic rules are that the contest allows no single-engine models, and no full-fusleage models. Click here for the complete rules. You can also e-mail the VGMC if you have questions. The early history of the Vancouver Gas Model Club was researched and published by Chris Sackett. This indicated that the Vancouver Gas Model Club was formed in 1935 and that the V.G.M.C. 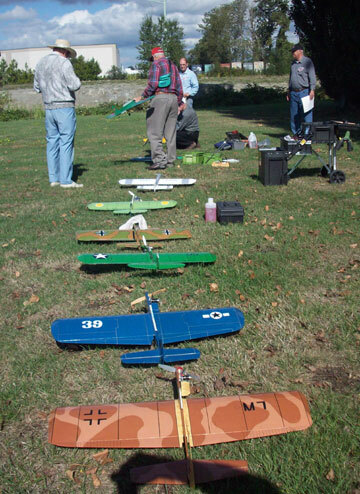 evolved from the Vancouver Model Aircraft League, which in turn had been formed in 1927.